If you are a runner who scours the research for what is new and trending in the world of running, I am sure you have come across the barefoot running discussions and the resurgence of the minimalist shoe. I am not here to sway your decision about shoes versus no shoes, but I am here to encourage you to improve the strength of your feet. From years of neglect, too much sitting and a lot of shoe wearing our feet have become weak and reliant on outside sources of support. If we expect our bodies to hold up while running 13.1 to 26.2 miles, we should be able to master the challenges listed below. 1. Take off your shoes and look at your feet. See if you can spread your toes apart without lifting them off the ground. Next, try and squeeze your toes together without lifting them off the ground. Set your kitchen timer for 2 minutes and do this 3 times this week. 2. 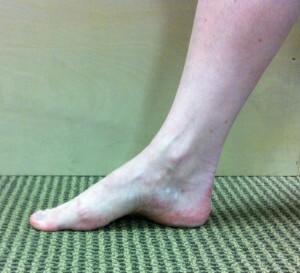 Arch doming: Press down the first knuckle of the big toes, while simultaneously lifting the arch of the foot. Hold this position for 5 seconds than relax, repeat this 20 times. Stay tuned next week as we tackle calf strengthening. How are you feeling about your foot strength? Let us know!